Sustainability is a driving force for innovation, inter-connected textile processing, e-commerce and the next steps in the direction of Industry 4.0. 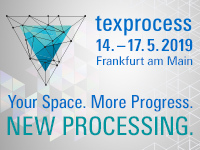 With a broad spectrum of themes, Texprocess Forum, which takes place from 14-17 May 2019, is set to generate specialist impulses for textile processers, users and retailers. Within the framework of the Texprocess Forum, Messe Frankfurt is bringing an offshoot of its Fashionsustain conference to Frankfurt on 14 May. Fashionsustain is part of Neonyt, an event hub specialising in sustainable fashion during the Berliner Fashion Week. The innovative conference format adds pioneering, sustainable textile innovations to the dialogue and uses synergistic effects in the sector to revolutionise processes and production flows. The superordinate question Is Sustainability the Key to Textile Innovations? 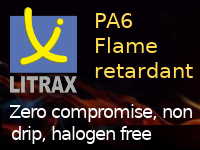 will be discussed in round table sessions with key players, such as Lenzing, Perpetual Global and Procalçado. A keynote lecture by Micke Magnusson, founder of the Swedish We are Spindye start-up, will address the economic need for sustainable business models and give action impulses. 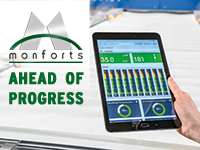 Subsequently, fibre manufacturer Lenzing, embroidery-machine manufacturer Santoni and shoe-component manufacturer Procalçado will present an innovation roadshow entitled The Future of Eco-Conscious Footwear Manufacturing. The roadshow is supported by the Texpertise Network of Messe Frankfurt. It illustrates sustainable shoe manufacturing and shows how a sustainability revolution in the fashion and textile industry can become reality today. The panel discussion will be chained by Marte Hentschel, founder of Sourcebook, the B2B network for the fashion industry. Additional contributions about sustainability at Texprocess Forum will be given, inter alia, by gsm Global Sustainable Management on the recycling economy and its integration in the product-development process, textile manufacturer Vossen on vegan textiles and investment company Triple Tree on sustainable CSR management and audit solutions for complete transparency. Which changes triggered by Industry 4.0 are already part of the value chain? This is the main question of the thematic block organised by the VDMA Textile Care, Fabric and Leather Technologies association on the afternoon of 14 May and it will be discussed in two round-table sessions by Andreas Faath, VDMA Forum Industry 4.0, Dr Yves-Simon Gloy, Sächsisches Textilforschungsinstitut, Dr Klaus Hecker, VDMA Organic and Printed Electronics Association, and spokespeople from DESMA Shoe Machinery, Efka, Frankl und Kirchner and Expert Systemtechnik. The subjects selected by DTB – Dialogue Textile Apparel – for the Texprocess Forum on 15 and 16 May spotlight those parts of the textile process chain most affected by digitalisation. With Holger Knapp, CEO of the Deutscher Fachverlag publishing company in the chair, Hans-Peter Hiemer, of B4B Solutions, will open proceedings with a keynote address on the digital transformation of the fashion business. This will be followed by a panel discussion entitled Old hands, reckless young people – how to get the best from your team with 3D! with Prof Michael Ernst, of Germany’s Niederrhein University, Dr Andreas Seidl, of Human Solutions, and other experts. Thereafter, digital solutions for the fashion trade will be the focal point of contributions by MobiMedia and Assyst. Lectra will discuss ways to fashion on demand, Sys-Pro will look at omni-channel solutions, and Avalution at avatars in the digital development of apparel. In its contribution, the Hohenstein Testing Institute will consider whether virtual prototypes are also suitable for resale products, while WKS Textilveredlungs will ask how quality assurance can go together with shorter lead times. On Thursday, trade visitors can also look forward to contributions by PTC on product lifecycle management, e-commerce, automatic flat-goods stores, care labelling as a sign of quality, and qualitative colour measurement with multi-coloured textiles. In the panel discussion organised by the World Textile Information Network (WTiN) on 17 May, Coloreel, the winner of the 2017 Texprocess Innovation Award, will introduce its innovative thread colouring technology. The German Institute for Textile and Fibre Research, Denkendorf, will speak about micro-factories in the textile industry. KSL will discuss sewing robots, and WTiN will look at the influence of Amazon on investment, patents and the future. The complete Texprocess Forum programme is now live.